All set with Lead Ads? It's time to say hello to Forms. Go beyond creating Lead Ads. Use forms to build interest in the brands you manage. 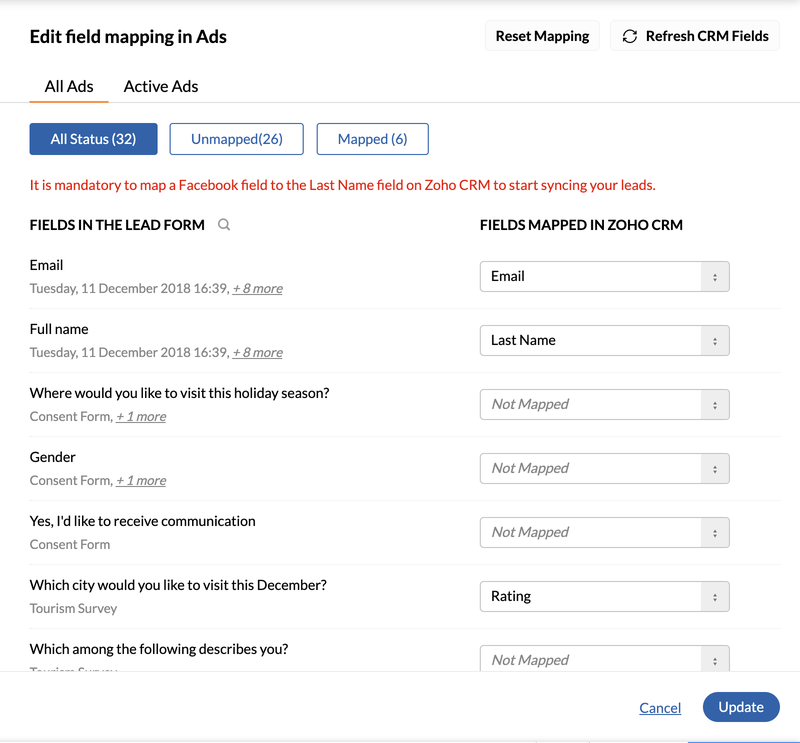 Map fields in your Facebook Lead Forms with unique fields in Zoho CRM so your sales team has more context to work with. Sync all ads or just a few. Mutiple ad campaigns, and multiple lead forms. 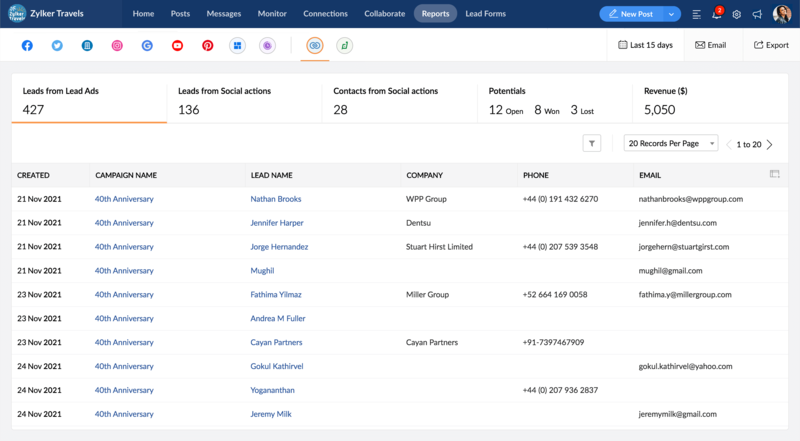 Sync them all in one go, or choose only those active lead forms that you want. Map the fields you want to. 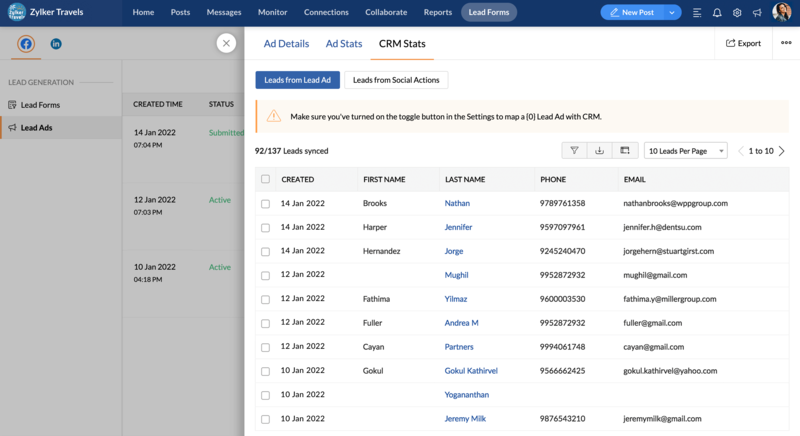 Map as many as 20 fields—individually or automatically—with the fields in Zoho CRM. Edit additional fields for all campaigns or just your favorite ones and map those, too! 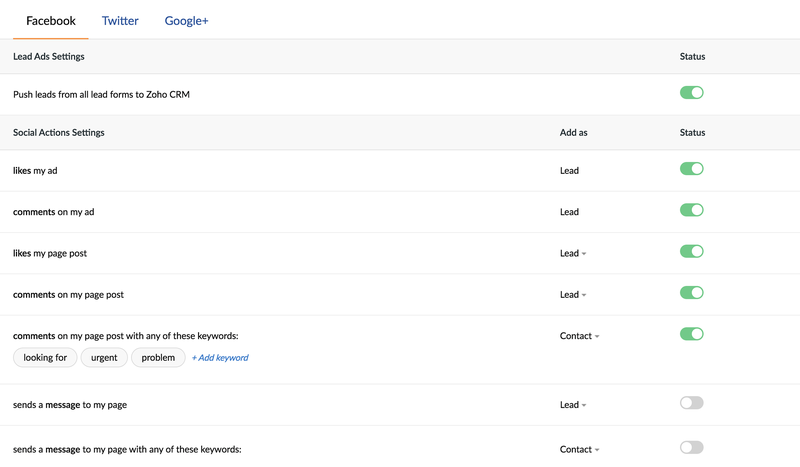 Identify paid vs. organic leads. 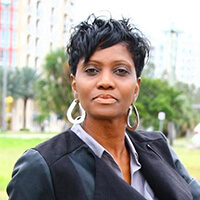 Opened up your Lead Forms to receive organic leads? Great. 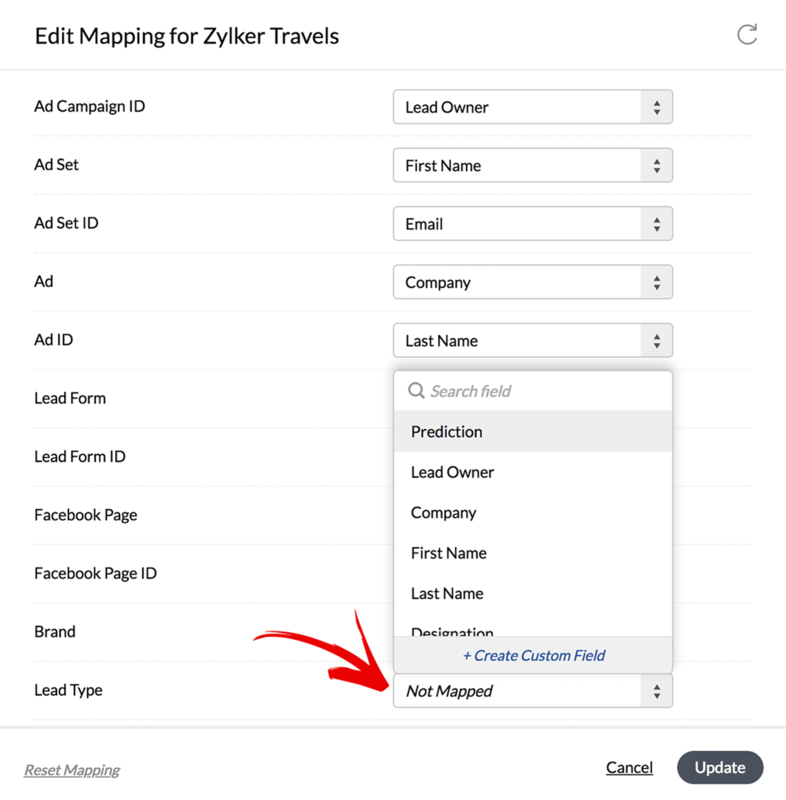 Lead Type in Zoho Social will help you differentiate from the ones you receive through paid ads. 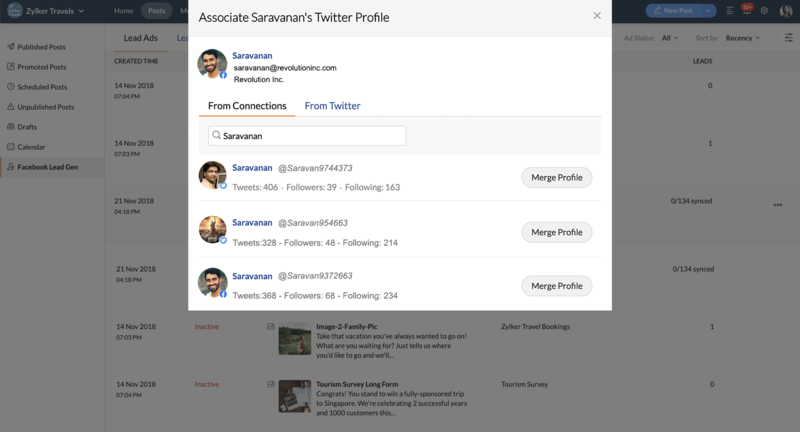 Associate your leads with their social profiles on other networks. View their social media updates, get more context, and engage with them more effectively—all from a single screen. Get quick insights into your campaign's reach, the number of leads generated, the cost per lead, and other important metrics. Discover your most engaged demographic. Identify those who have interacted with your ads. 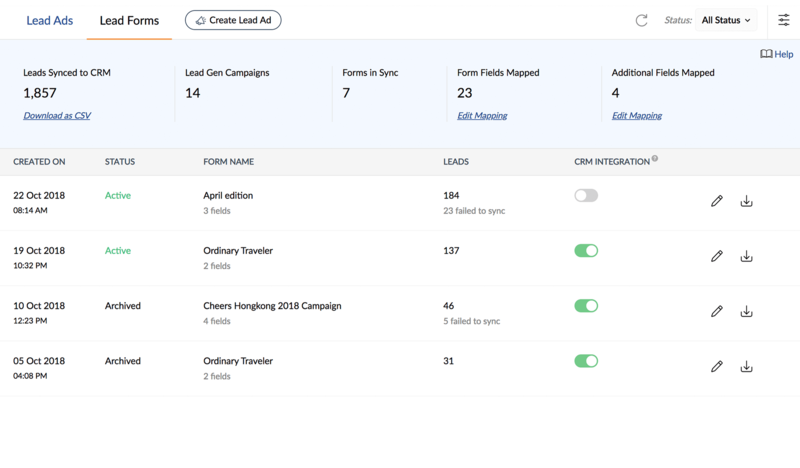 Measure ROI with details such as the number of leads and the cost-per-action for your Lead Ads campaigns. Learn how your Lead Ads are performing on Facebook and Instagram. Take a quick look at your ad performance on other platforms such as desktop and mobile, too! Track revenue earned from your best performing ad campaigns. Identify the Lead Ad campaigns, advertisement sets, and individual ads that help you generate the most leads and revenue.